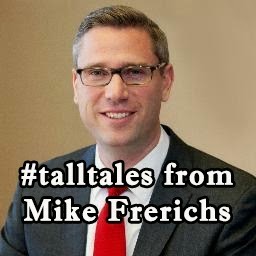 Add this to the list of #TallTales that Mike Frerichs tells: he's a CPA! Yes...that's right. He proudly passed on a message to voters about Mike being the 'only certified public accountant in the Treasurer's race'. The problem for Mike? He's not a CPA. Add it to the pile of #talltales Mike Frerichs has told.